Participants attending the event are encouraged to support the group by buying books that day at the store. Purchases that day in-store or online, and online through Wednesday, March 11, will earn San Diego Writers, Ink a 10-15% cash reward. Use code 11567120 for the percentage to be applied to SDWI. Store hours are 10 a.m. to 9 p.m. Bookstar is located at 3150 Rosecrans Place, Point Loma. 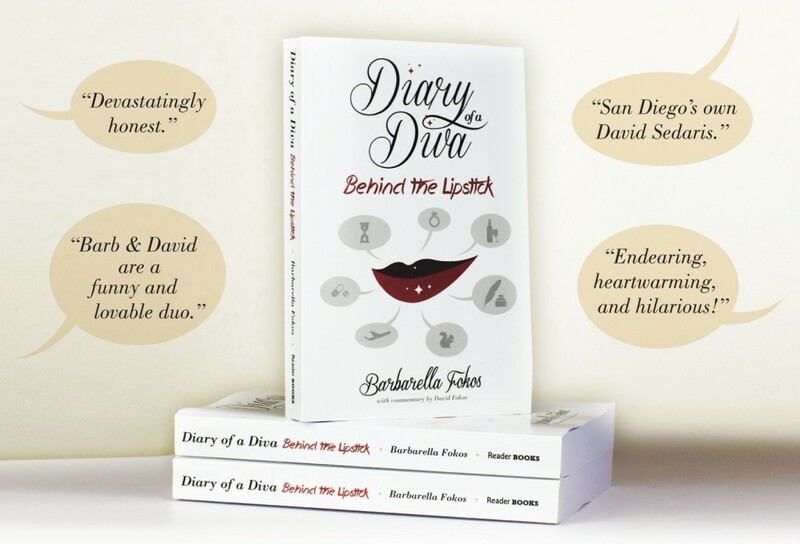 For more information and details (Some restrictions apply) or to print out a voucher for purchases go to http://www.sandiegowriters.org/0307-barnes-and-noble-day-for-sdwi/. Here’s an opportunity to be a part of the La Mesa Christmas in the Village event in La Mesa, California. Did you know that there are only a few events left in San Diego that use Christmas in their name? 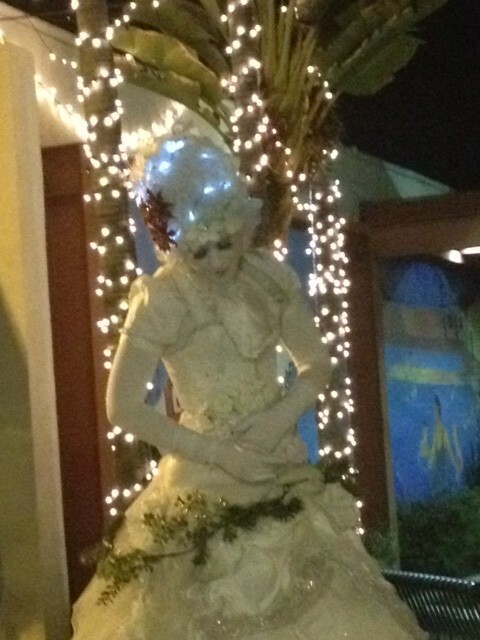 The La Mesa Christmas in the Village celebrates Christmas by turning La Mesa Boulevard into a Victorian-era village with lots of pretty lights and shows throughout the evening as well as a parade that starts at 5 p.m. each night of the event. You or your business can be a part of the celebration by becoming a sponsor. Ad exposure and booth space come with each of the sponsor levels included here, but we’re open to any level of giving you’d like. It’s a great way to be a part of a local community effort that is being promoted throughout the San Diego market. Please make out checks to LMVMA and send your sponsorship to: Attn: Janene c/o La Mesa Merchant’s Association, 8030 La Mesa Boulevard, PMB#176, La Mesa, CA 91942. Thank you. 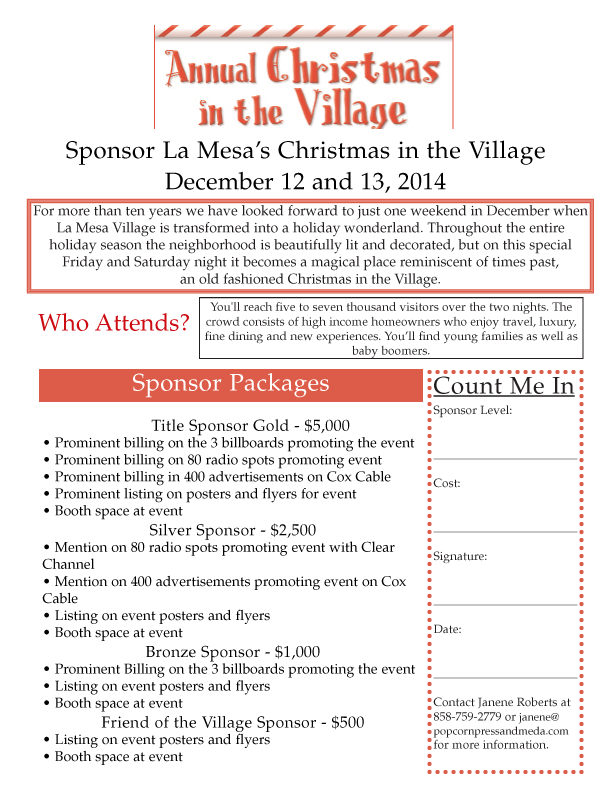 Your business can be a part of the La Mesa Christmas in the Village event December 12 and 13, 2014. Booths start at $200 for both evenings, sponsorship packages are also available, or ask how you can be a part of the Christmas Parade. Efforts are underway to televise the parade this year. Contact Janene@popcornpressandmedia.com for more information. The top 5 Markets in the U.S. for Hispanic TV Viewing according to Nielsen are the following. Note: Since we’re located in San Diego, that market ranks 12th. Search Engine Optimization (SEO) experts lately are suggesting looking at Google Trends to see what people are searching for and then writing a blog post on that same theme. So how can your target audience relate to some of these trends? Recently, the top trends on Google Trends were. You can look at the trends for a longer period than just a few days to see if they’re consistent and not just a one time fluke. Dancing with the Stars, for example, has been a highly rated prime TV show for a long time. In March 2014 the ABC show garnered 15.4 million viewers nationally and was ranked #2 after CBS’s NCIS. Maybe your business can’t afford to air a national ad on Dancing with the Stars, but you can find other ways to be associated with the show. There are pre-roll ads that can be placed locally in front of the show as viewers watch online, or you can write a blog post showing how one of the dancers used your product on their hair while on the show. Get creative. You just might find a way to have a connection with these top trends while potentially increasing traffic to your site. More classes have been added to the line up at the San Diego Writers, Ink Fall For Writing Conference this month. 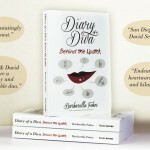 To wrap up the event on Sunday evening, Barbarella Fokos, new author of the book Diary of a Diva will talk about the writing process and read from her book. The Fall For Writing conference will hold sessions all weekend from September 12 to 14, 2014. Classes and workshops run the gamut from fiction, memoir and poetry writing, to collage and marketing classes. Barbarella Fokos was the executive producer and host of Art Pulse TV (which aired on NBC San Diego, COZI TV, and is now re-airing twice a day on County TV in San Diego). The show was all about taking viewers behind the scenes of everything art in San Diego County and Baja. She won a regional Emmy award for producing the show. She also used to do regular television segments, such as “Stepping Out With Barbarella” on NBC San Diego News in the Morning, and the weekly 5 Questions with Barbarella that aired on NBC’s California Nonstop channel. She writes for the San Diego Reader, from lengthy news features to fluffy food reviews. 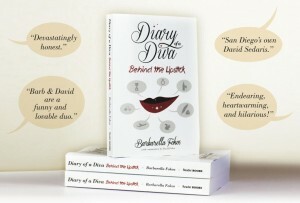 Her column, “Diary of a Diva,” has appeared in the Reader every week since 2004. Now these are the basis for a new book. 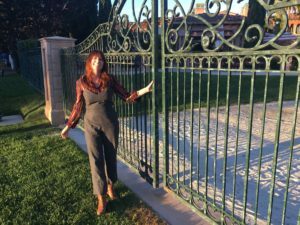 For a fraction of what it would cost to attend a class or two, the San Diego Writers, Ink (SDWI) is offering a full weekend of classes, workshops, and parties at the third annual Fall For Writing Conference. The pre-registration cost is $120 for members or $140 for non-members for up to 10 sessions. At the door it’s $5 more for each or $25 a class. Membership is $35 a year. SDWI is a 501 (c) 3 non-profit organization. You have until September 12 to submit an entry for the best media plan of the year through Adweek’s Media Plan of the Year contest. Go to: www.mediaplanoftheyear.com to enter. Writers interested in getting their work published have until July 31 to submit their poetry, prose, or flash fiction for publication submission in the San Diego Writers, Ink 8th Anthology. Eligibility is available to residents of San Diego. Members ($35 a year) can submit up to three pieces at no cost. The non-member fee is just $5 per entry. An Anthology is a compilation of accepted works by authors that have been published before, and others who have never been published. Accepted pieces are featured in a printed publication. reg e. gaines, a Tony-nominated writer and Bessie Award winner, is one of the editors of the 8th Anthology and is available for media appearances to talk about the Anthology process. reg e had a brush with fame in New York City with the slam poetry movement. He will be editing the poetry submissions for the Writers, Ink Anthology. Dean Nelson, the prose editor, is the founder and director of the journalism program at PLNU (Point Loma Nazarene University) who writes occasionally for the New York Times, the Boston Globe, Christianity Today, Sojourners and other national publications and has co-written 11 books.